50,000 People Reached in The Philippines! We are in a true season of Thanksgiving! God moved powerfully in The Philippines as we shared the Good News of Christ in September and October with over 50,000 people; more than 35,000 people called upon Jesus Christ as Lord and Savior! Our teams of more than 40 Filipinos and Americans ministered over a period of three weeks in 75 schools , several churches, at our training conference and CityCelebration in Baguio City and several towns in the Metro-Manila area. God's presence was very real, and despite two hurricanes, flooding, power outages, travel delays and unexpected schedule changes, God did a mighty work - nothing is impossible with Him! 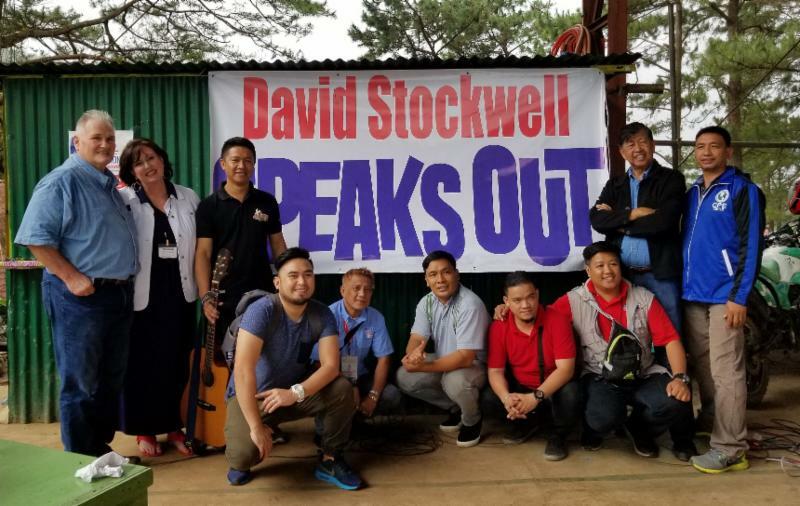 Our NEST ( National Evangelist Support Team ) Philippines team worked with local pastors' associations and Department of Education officials to organize our events, and are continuing the work of follow-up and more outreach in these same areas even now. God moved through testimonies, teaching, preaching, prayer, and the power of the Word of God. We are in awe of what God did on this mission! Thank you so much for your friendship and prayer support; you are a vital part of this ministry! Please continue to pray with us, that God will send us and our ministry partners out to reach the nations with the Gospel. Romans 1:16 ~ "For I am not ashamed of the Gospel of Christ, for it is the power of God unto salvation for everyone who believes..."